The Tertiary and Vocational Education Commission was established in 1991 as the apex body in the technical and vocational education and training sector under the provisions of the Tertiary and Vocational Education Act No 20 of 1990. Its primary responsibility is policy formulation, planning, quality assurance, coordination and development of tertiary and vocational education in the country. The amendments introduced in December 1999 to the Tertiary and Vocational Education Act No. 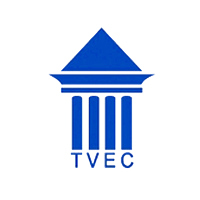 20 of 1990, ensures that 10 out of 17 members of the TVEC including its Chairman, represent the Employer Associations and Private Sector entrepreneurs. This provides a forum at the highest level for the private sector to contribute towards developing policies and programmes that would help achieve the vision of the Government of maintaining a demand-driven training system. The Chairman and the Director General of the Commission are assisted by a team of Directors, in charge of development functions and a Secretary who oversees the personnel, financial and administration functions. In addition to the above implementing agencies of the public sector, the MSTRSDVTKH intends to extend the facilities of proposed the MIS solution to the private sector training providers.